You are here: Home / Product News / ProX Brake Pads: New material, new packaging, same pricing! From January 2017 we have an improved version of our ProX Brake Pads. The higher quality brake pad has been improved due to technical changes. The brake pads are matched to our ProX Brake Discs to give the best performance: The Perfect Match! 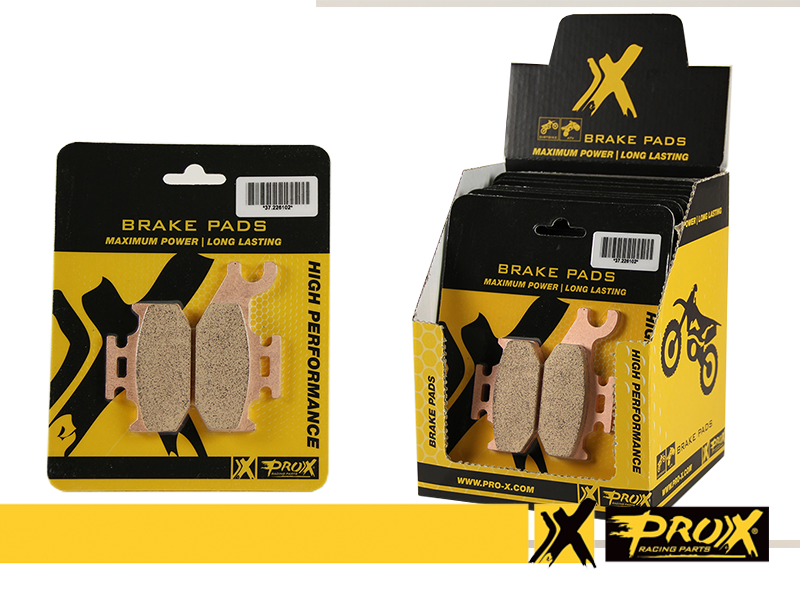 The pricing and discount of the ProX Brake Pads will remain the same! The packaging of the brake pads is upgraded as well. A nice carton back plate on which the pads are sealed. For best performance we recommend using the ProX Racing Parts Brake Discs. All perfectly matched! Next to our single brake pad part number, we now offer a nice box which contains 10x the single brake pad number. The box is designed to be used as Point of Sale material as well. It is possible to refold the box after opening to an attractive promotion item for on the counter or anywhere else in the shop.